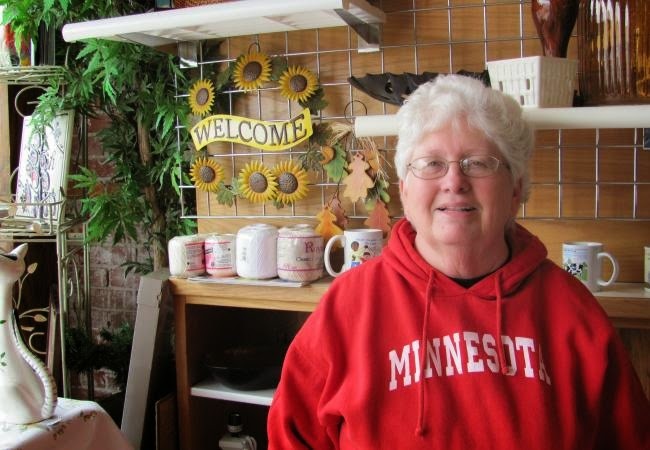 Muriel Krusemark is ”the fireball of Hoffman, Minnesota”, according to MPR News and The Center for Small Towns (CST) has been lucky enough to work with Krusemark on a variety of projects throughout the years. Just this fall CST has been focused on assisting Muriel with a revamp of the Hoffman Farmers Market. The personal relationship CST has with Muriel starts here, and Muriel works hands on with CST students, inviting them out to Hoffman, MN to assist with preparations for their farmers market which are every Wednesday from 5:00-7:00pm during the summer/fall. Muriel is already looking to future work with The Center for Small Towns, brainstorming with a student in planning the City of Hoffman’s 125th anniversary. An exciting development in their planning is applying for a grant through the Art Council in Fergus Falls, MN. If Hoffman receives the grant, the funds will allow them to hire a playwright for a community fundraiser. Once the play is written they’ll ask for help from the Prairie Wind Players in producing the show. Once the production is created and put on in Hoffman, MN, the funds the show makes will go towards the 125th anniversary weekend celebration. The Center for Small Towns is excited for the opportunity to be involved in a project that is expanding by the minute, to not only Hoffman but other surrounding towns as well.